The certificate is available to all UWM graduates, regardless of major, and is awarded upon completion of required coursework. 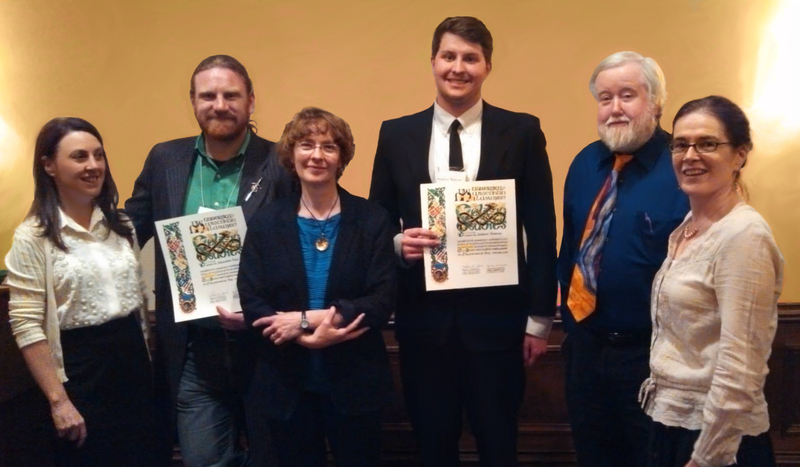 Students who participate in the Celtic Studies Certificate Program are encouraged to create an individualized course of study that integrates several academic areas. Students can concentrate their studies on the Celtic languages, both spoken and written, or they may choose to investigate the broader themes of the Celtic culture, such as art, archaeology, literature, history, folklore, music and myth. The Center for Celtic Studies faculty are available to advise students and explore the many aspects of the program. 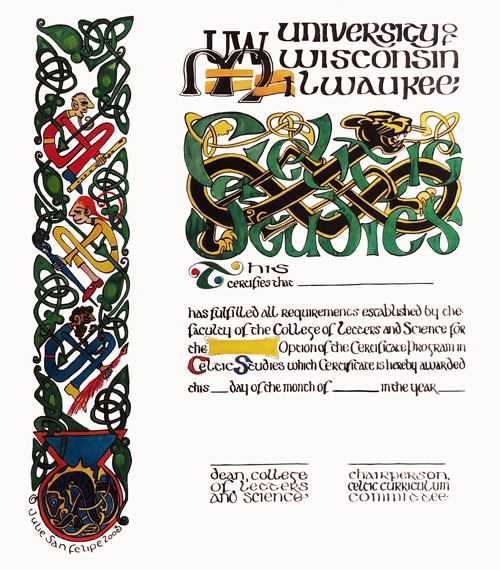 The certificate program in Celtic Studies is open to all students pursuing a bachelor’s degree from UWM and to students who previously have received a bachelor’s degree from UWM or any other accredited college or university. Community members wishing to earn a certificate but do not want to enroll in a bachelor’s degree program may register through the University Special Student program. They must take the courses for full credit and complete all course work. Complete at least half of their certificate credits in residence at UWM. See the Celtic Studies Certificate – Language requirements for more information on the Language Emphasis option. See the Celtic Studies Certificate – Culture requirements for more information on the Cultural Emphasis option. Credits earned at other institutions equivalent to courses in the certificate program may be accepted in partial fulfillment of the program requirements, subject to review by the Certificate Program Committee. Students currently involved in baccalaureate studies who complete the requirements of the program successfully will be awarded the certificate at the time of graduation. Post-baccalaureate students will receive the certificate upon successful completion of the program requirements.